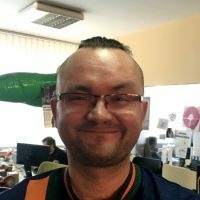 Pawel Miechowski is a senior writer at 11 bit studios and one of marketing ninjas behind all 11 bit titles. He’s started his game industry career in 1996 working as an animator for “The Prince and The Coward” point’n’click adventure game made by Metropolis Software. Later on moved to CD Projekt Group and since 2010 he’s a part of the team at 11 bit studios. Privately a husband and a father of two, great fan of indie games and a crazy fan of football.